I used QuickBooks Pro 2010 and could not find any answer from the community. Appreciate if anyone can help. The company just purchased a vehicle worth $35,710.50 with a $1,000 down payment. HST is $4,830.61 and Interest $8,982.57 for loan of $39,541.11. When I post the cheque - the truck loan account decreases by $482.09 - which I believe IS right but the HST and interest deferred account increases - which I believe IS wrong. Appreciate if someone can give guidance. I think it's great that you think your entry is wrong. It means you are thinking your way through the debits and credits. Awesome! I will assume you coded your deposit to the Fixed Assets-Truck account. I'm not going to address your HST calculation that is not calculating at 13% of $36,710.50. Recheck your purchase documents for the details. of questions you need to ask when preparing your bookkeeping entries would be similar for the financing of a purchased vehicle. As your loan payment includes HST, are you sure you are not making a lease payment? Next, take a look at how you booked your HST. Do you think you are claiming the ITC twice? After you've looked at that, you need to know that there are special rules to ITCs on a vehicle. The rules are different for sole proprietors versus corporations. You can find the bookkeeping entry for a loan payment in my article on Confused About the Balance Sheet. 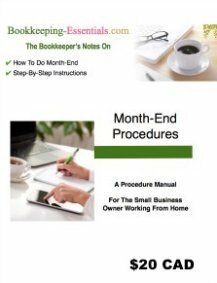 You can find the bookkeeping entry for purchase of an asset in my article on Common Bookkeeping Entries and Journal Entry Examples. Jan, follow the links and see if you feel your questions pertaining to your situation are answered. If not, post back here for further clarification. 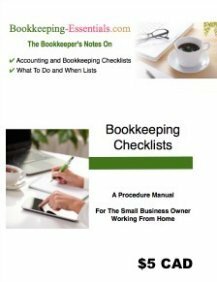 Again, I can't tell you how great it is that you are actually thinking your way through the bookkeeping entries. A final note. Remember to keep all the documents pertaining to the purchase and financing for your tax accountant. They will need the information to do your year-end and tax preparation correctly. Hi, thank you so much for answering and it is a relief. I could not get into your link to 'bookeeping entry for purchase of an asset' as it requires a password. 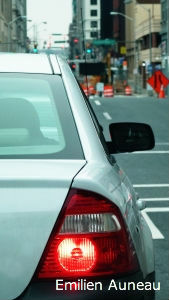 In answer to your question - the vehicle is not a lease, it is purchased and financed thru Ford. The HST is the # I pulled from the purchased agreement. I know it does not reflect the 13% of the purchase price; dont know why. I am wondering did I post the very 1st entry below correctly? As I read on some blogs that interest should be an expense and not an ASSET - the above was what my accountant told me to post. If I am doing the above wrong, then making payment would be wrong too. I have searched the net for information and even the Initut community. No one knows what HST is and how to code that amount. I know how to use the loan manager feature on QuickBooks so that it is easier for making payments but no one is able to tell me about HST. My accountant is no help at all! I really need help and hope you can help me, as you are in Canada too and understand HST - will gladly pay the $35 fee indicated. Jan, I fixed the link you couldn't access. Sorry about that. If you purchase a question, we can talk over Skype. I have made the payment and would appreciate if we can schedule a time to assist me in setting up the books/payment for the loan. I can see where a payment was made ... however I don't think you clicked on the "Return to Lakeshore Bookkeeping" link, which is where you would have "asked" your question and provided me with contact information. Can you send me your contact information on my "Contact Me" form and we'll set something up?